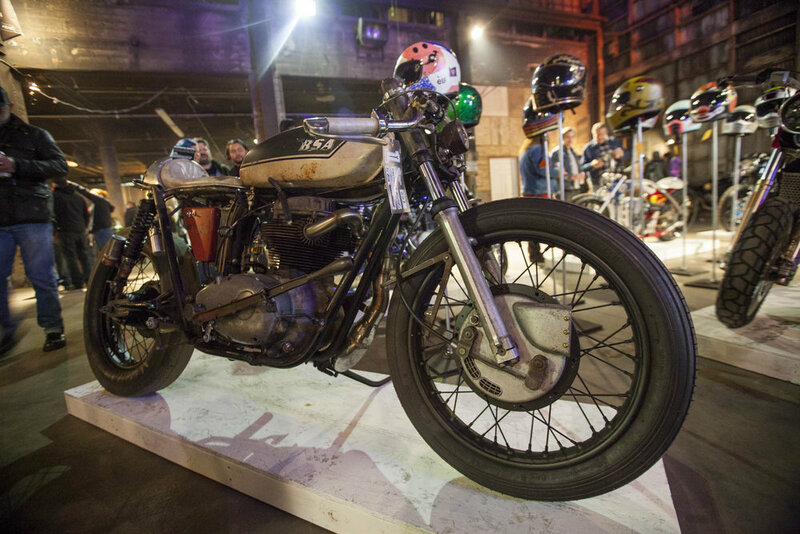 For three days the One Moto Show breathed life back into the Pickle Factory, an old abandoned foundry located on the west coast in the city of Portland, Oregon. 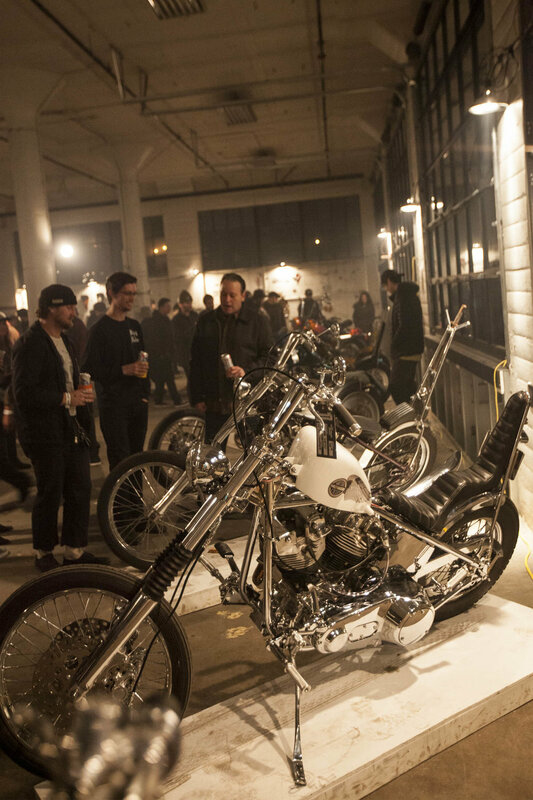 The show filled the 60,000 sq.ft. 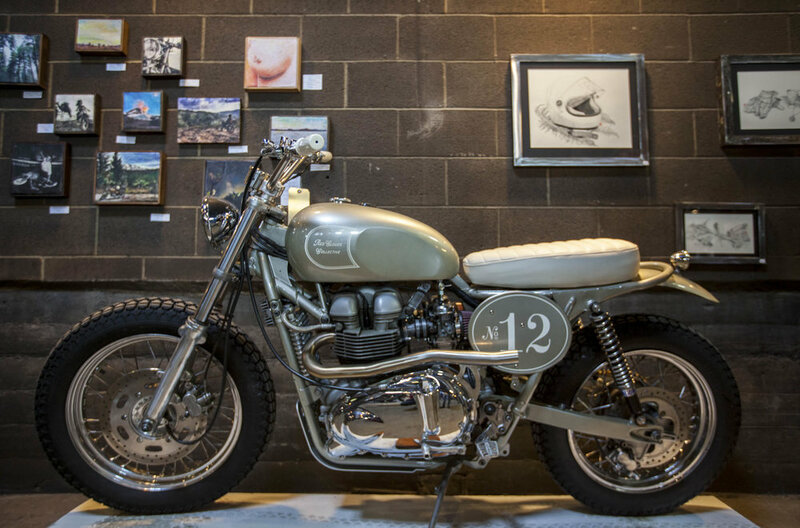 warehouse with over 180 unique motorcycles and artwork from around the world. 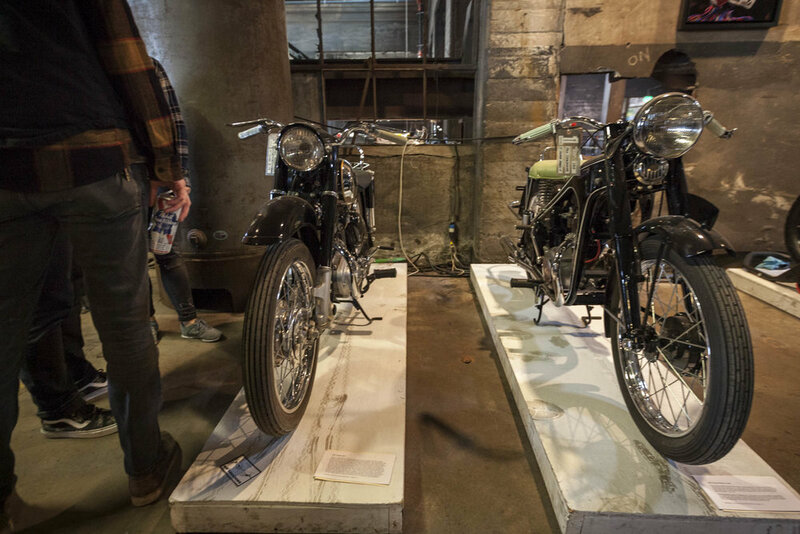 Two floors filled with cutoms, electric, vintage and concept bikes just to name a few, the list too long to name them all. 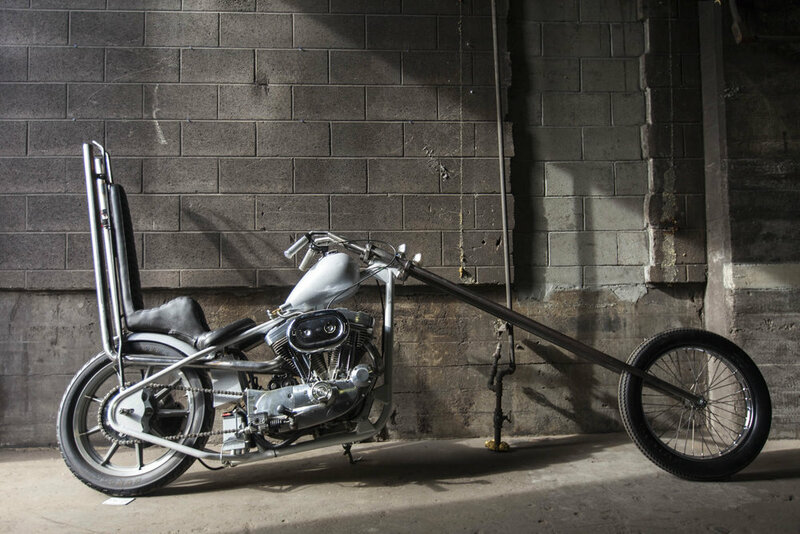 There was definitely something for everyones tastes, from the cool casted aluminum electric bike built by Wannabe Choppers to an original 1937 Indian scout complete with a sidecar trailer. 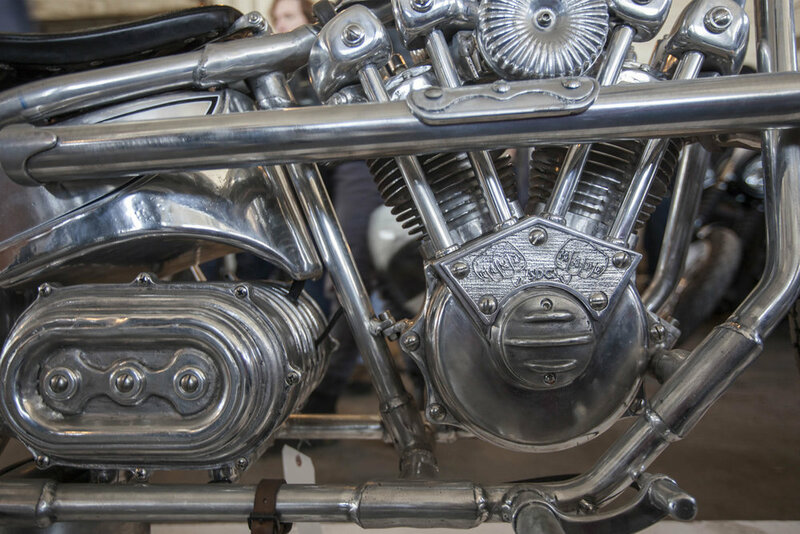 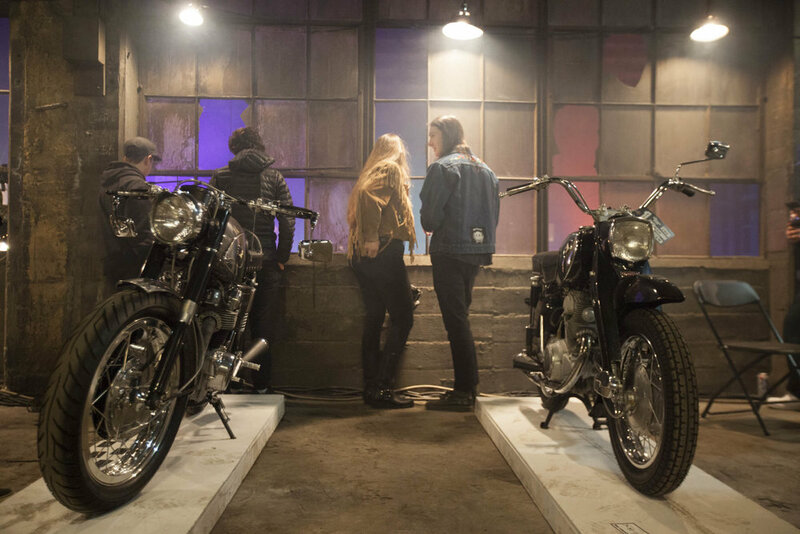 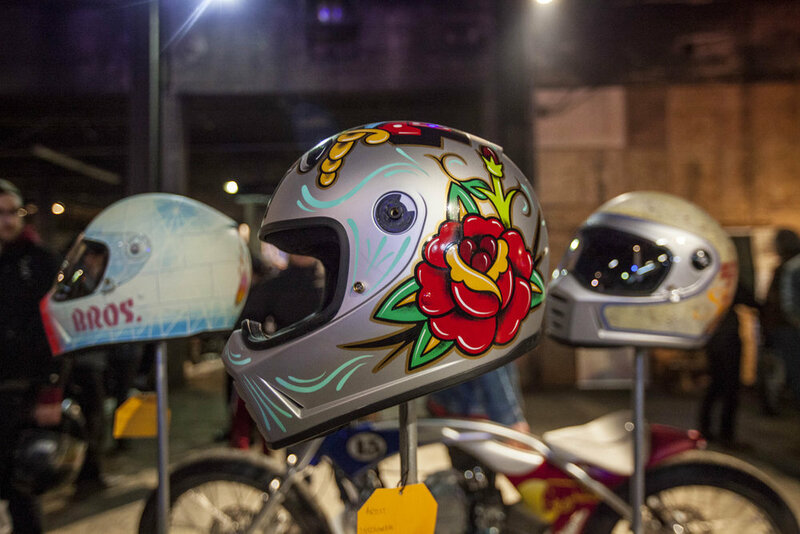 The diversity of the motorcycles that were invited to be a part of the show was apparent within the first few steps into the building that this wasn’t your average moto show. 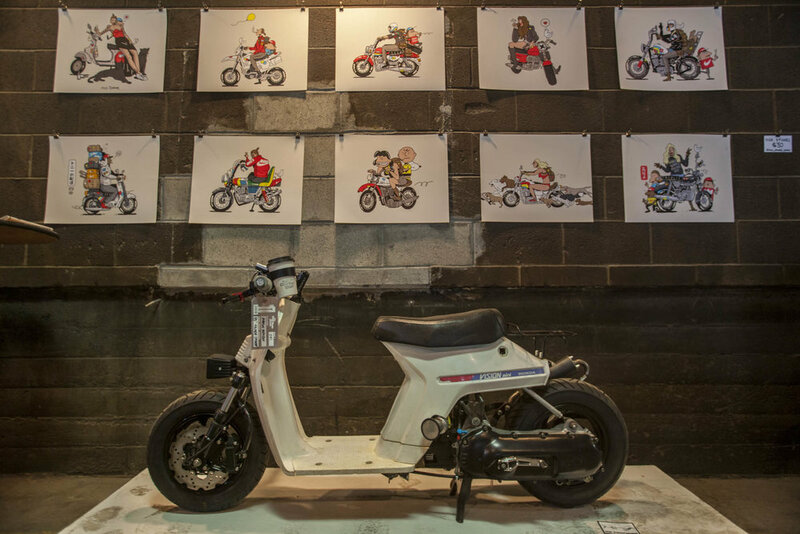 Colourful artwork hung from the walls all through the building, paintings, prints, and sketches all with a motorcycle theme, it was hard not to bring a piece home for my garage. 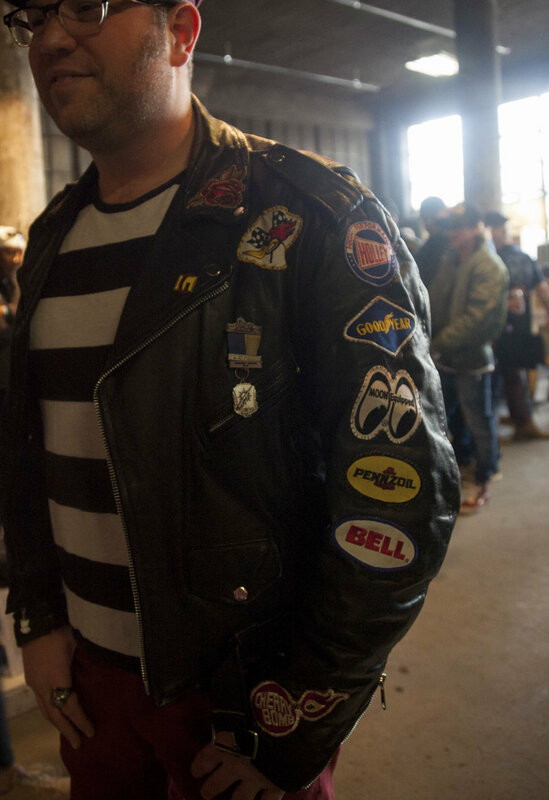 The 100 year old foudry buzzed with live music from 6 different bands that played throughout the weekend, which just added to the already greasy and laid back atmosphere of the show. 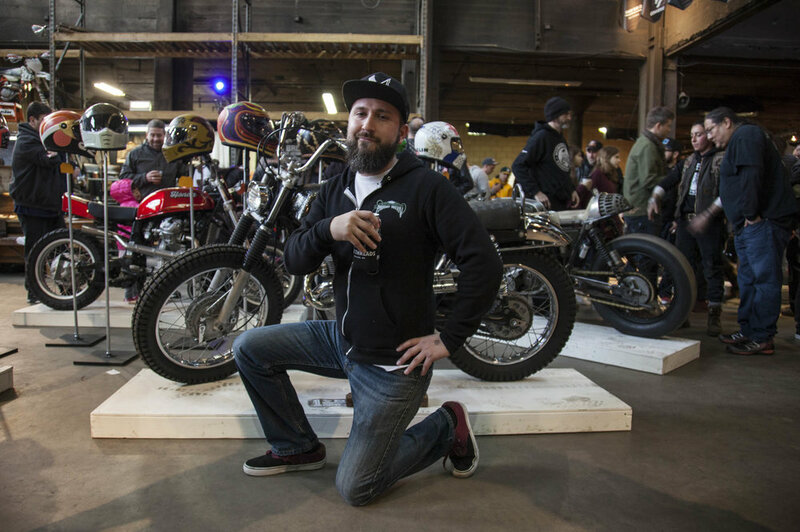 Some of Portlands finest craft beer, favourite food trucks, and tastey coffees were offered on site, filling the building with savoury smells, making it hard not to try something as you wondered around the show. 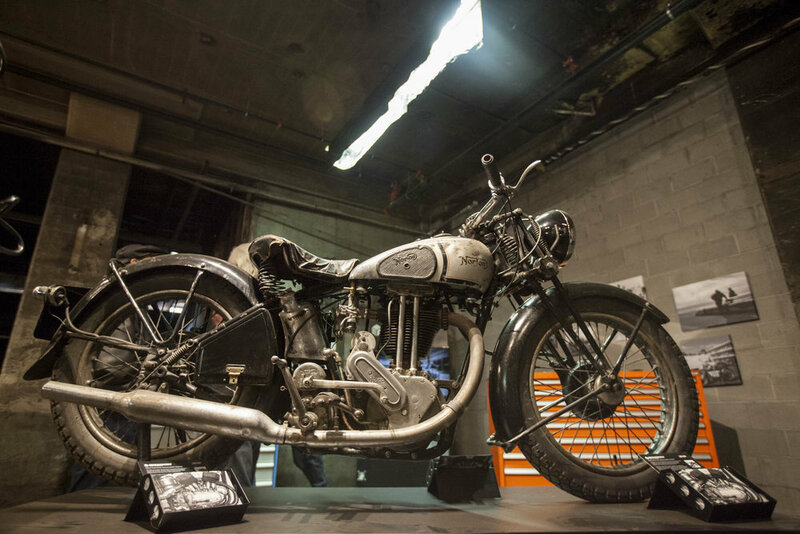 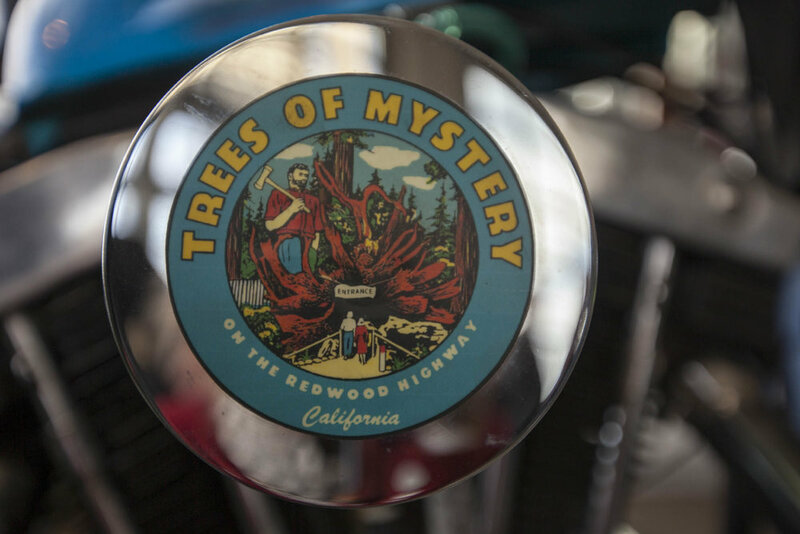 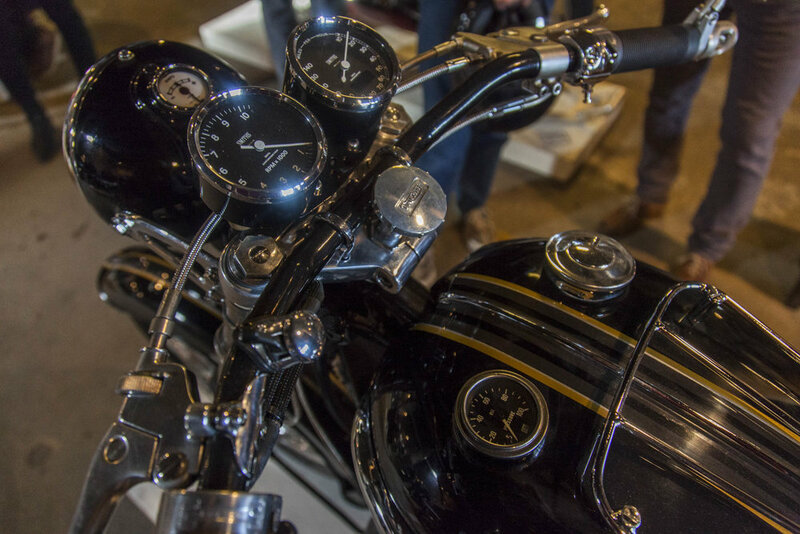 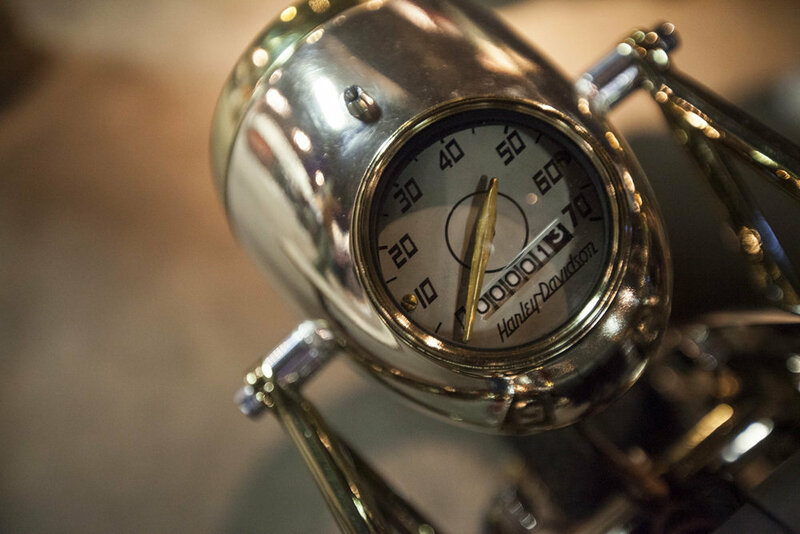 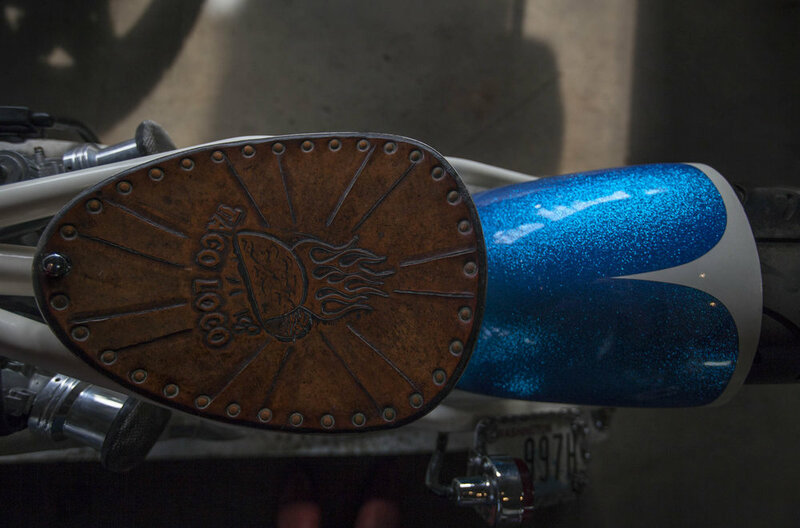 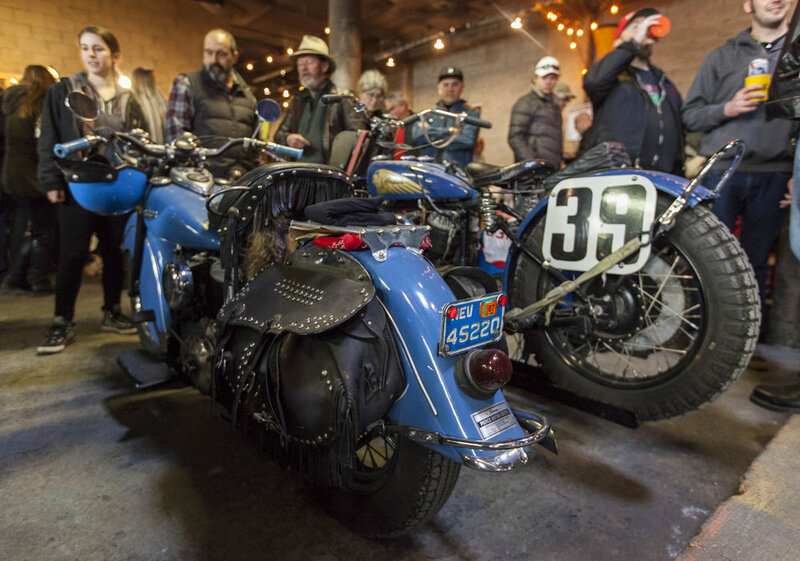 45 vendors squeezed inbetween the bikes, offering new and vintage moto wear for every taste. 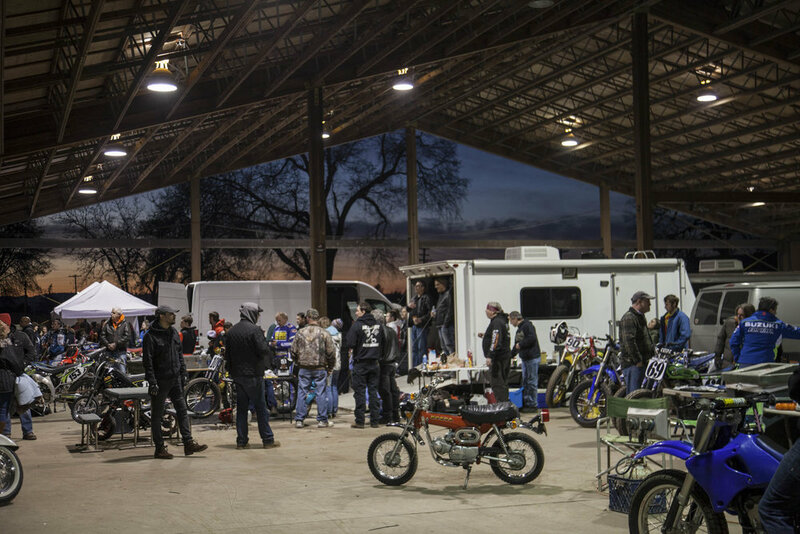 If all this wasn’t already enough a few miles down the road at Salem Speedway, the fastest indoor clay track in the US, was host to the One Pro Race. 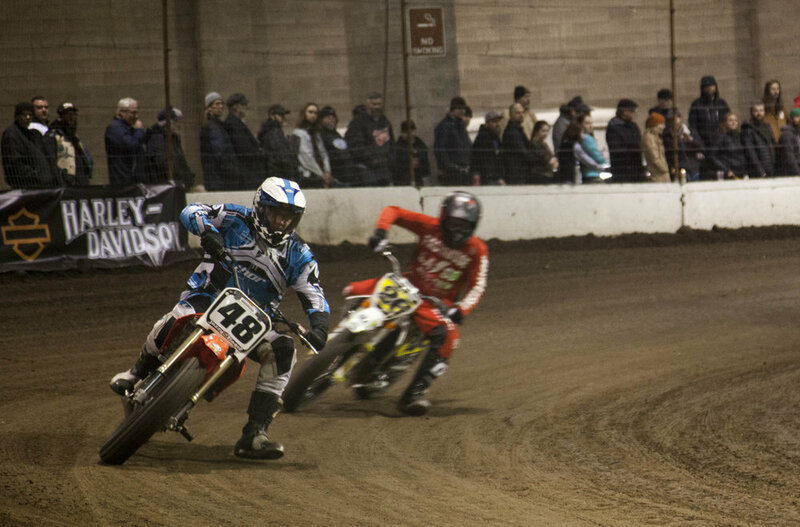 Fast, nail biting flat track racing that had the crowd cheering as the bikes sped around the oval; giving us an opportunity to see some of the bikes from the One show in action. 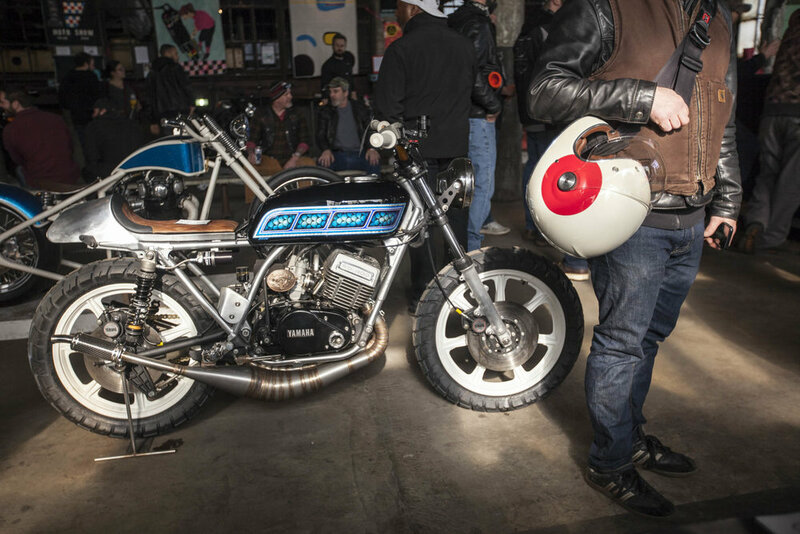 The One Show is a show like no other moto show you will ever go to. 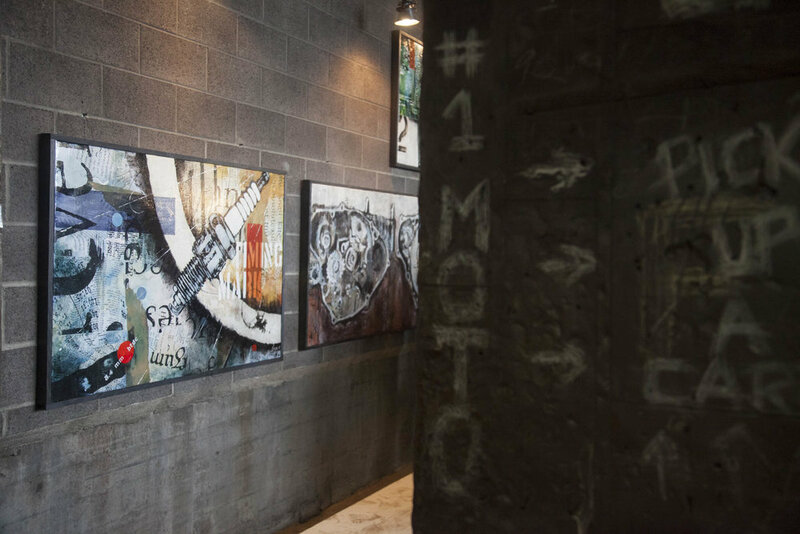 If you haven’t been yet, you should go, it’s even better in person.